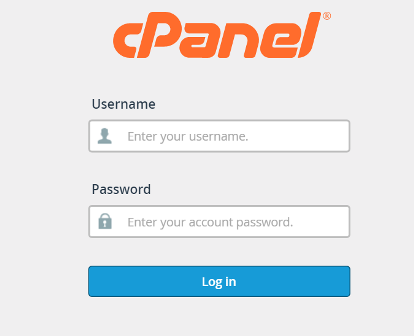 Type in the url to your cPanel login page, normally it would be yourdomain.com/cpanel . Fill in the username and password that are provided by your hosting provider, then click on the blue log in button. 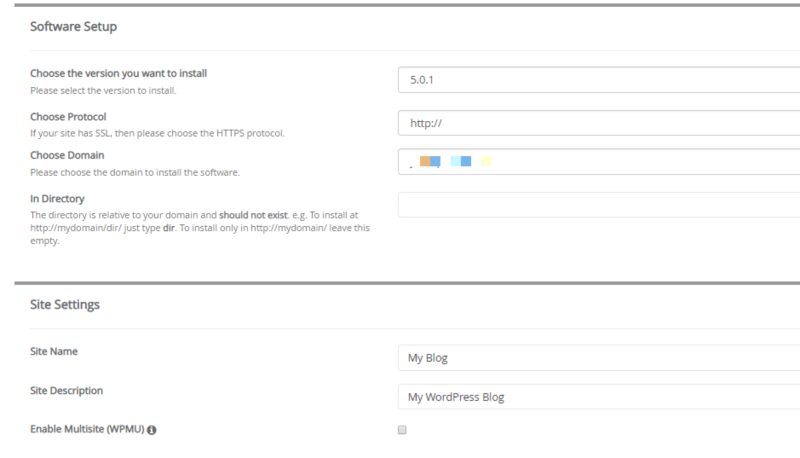 2) From the section, you can easily click on Wordpress. 3) Next, you will see a page similar to the image below. Then, click on the Install Now button. 4) You will see a page like this next. If you have bought an SSL certificate for your domain, you may choose https:// ; if not, just leave the choice as http:// . You will just have to enter the domain name that you have registered and wish to install Wordpress in. If you wish visitors to your site to be able to access Wordpress once they entered your domain, that is, yourdomain.com; leave the space blank. 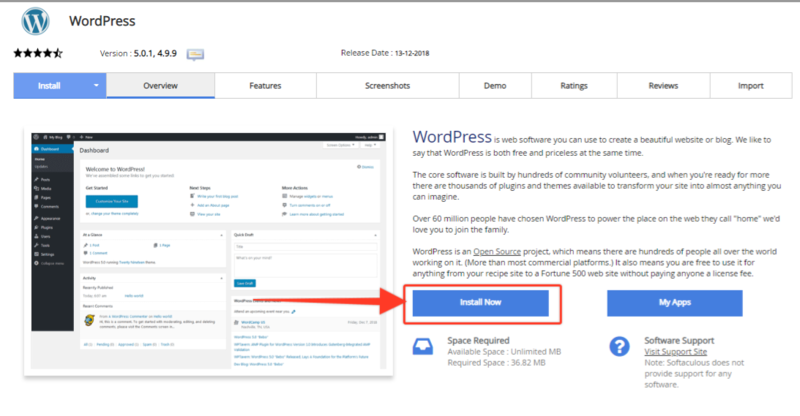 Otherwise, for example, if you leave the space as wp, visitors will only be able to access your wordpress site once they click on the wp link in your homepage or by typing yourdomain.com/wp . You may fill in the spaces as you wish according to what kind of website you wish to create. However, you should not fuss too much about this part as you can still change it later on. Further down is the admin account set up, language option and plugins selector. Finally , you can choose a theme you prefer and click on Install. You may then make changes to the website by logging into your wordpress dashboard through the url : yourdomain.com/wp-admin . Enter your username and password set previously in Admin Account section, and you are all done .